What is the Merkaba Light Table? Why Become a Merkaba Light Table Certified Professional? Client Feedback: I felt waves of peaceful energy flow thru my body during the session. I could even feel it for days afterwards, which confirmed to me that this is a very special, powerful new therapy. I am so excited to see how the world embraces the wonderful energies of the Merkaba Light Table. Certified Practitioner: I know from direct experience of working with this device, that this new energy transformational device IS the new paradigm of holistic healing for humanity, going into this time of world enlightenment. 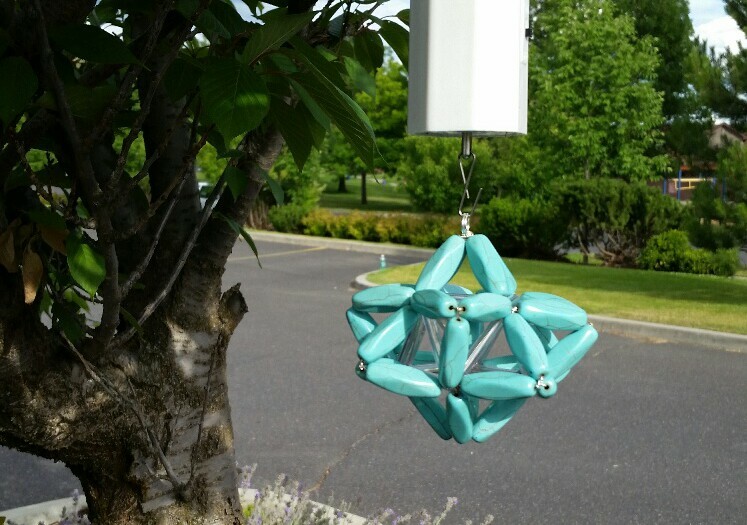 It is an honor to work with this powerful and loving intelligent energy device. Biofeedback Therapist: I concluded that when the Gatekeeper Angelic Merkaba was activated, the ‘maximum healing energy potential’ for a client could be up to 1200%! The implications of this are staggering! Craniosacral Therapist: It seems like the Merkaba Light Table is able to ‘prime’ a client’s mind, body and spirit to a point of receptivity, where the subsequent health practitioners therapy can be done to a much higher level of efficiency and effectiveness. This is an amazing breakthrough for the world of holistic health practitioners. … Cleared a lot of energy in my body… felt different afterwards … couldn’t feel my body at times…felt a cleansing vibration throughout my body. …my spirits were lifted; as I was somewhat depressed before…saw lots of color…felt a warmth spread throughout the abdomen…feel calmer and more able to cope for several days after the session. 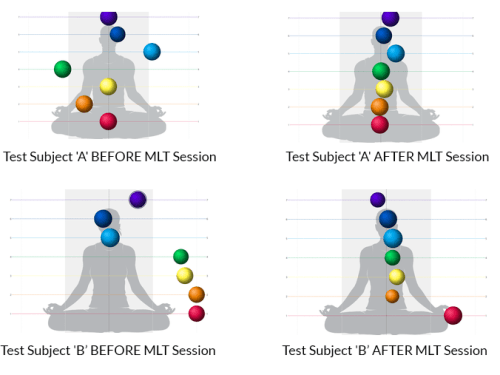 …I loved the energy of the MLT even before I got on the table…really liked the meditation. …I felt so relaxed and at peace after my session with the MLT. I highly recommend this new healing device to others. …As soon as I got on the MLT, I noticed that I could feel energy moving in my hip area, as if something was being pulled out of my hip. Years earlier, I had an accident which resulted in hip pain and numbness. I had not told Deb about this physical condition, and somehow, the MLT seemed to have some kind of intelligence that ‘knew’ what area of my body needed energy work done on it, and the MLT’s energies directly targeted this area. How amazing! ….I felt waves of peaceful energy flow thru my body during the MLT session. I could even feel it for days afterwards, which really surprised me and also confirmed to me that the MLT is a very special, powerful new therapy. I am so excited to see how the world embraces the wonderful energies of the MLT. …I suggested to the client to try the MLT in conjunction with her massage appointment. I did the MLT first and followed it with a massage. I noticed that her back muscles were not as tight as they usually are. She was more relaxed than she normally is after a regular massage. After her first MLT session, she went to her chiropractor for an adjustment. She said her neck adjusted better than it has ever done in a couple of years. …Client again relaxed very deeply during this 3rd MLT session. 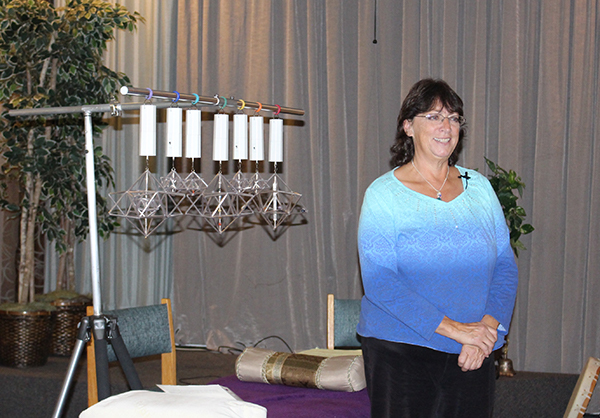 The client really relaxed with the tuning forks and went even deeper with the meditation. I did a massage at end of the MLT session and found her normally much armored back muscles, to be much softer and it was easier to go much deeper on her back. …Client noticed that about ½ way through the tuning fork therapy, he felt movement in his low back/hip area, which is where he has a lot of trouble. During the meditation he said he went to the 4th and 5th dimensions. He was very relaxed. His neck and back muscles were much softer, more pliable when I started the massage after the MLT session. I was quite impressed, as his muscles are always very tight, with cords in the deeper muscles. …Client was surprised at how deep the healing was at his last session. He said that he has been searching for a deep healing, like he once experienced in Sedona, AZ. He also said that he has never gotten that deep of a healing from any of the energy work I have done in the past. After his MLT session, he slept till seven the next morning. He noticed his attitude was much improved and he was more joyful. At today’s MLT session, he again went into deep meditation. He noticed that about after the tuning fork therapy, he could feel warmth going down his arms. Again, by the end of the MLT session, his chakras were very evenly balanced. When I did massage on him after the MLT session, I noticed that his hips were not rotated, the muscles were much softer, and I was able to work deeper from the very start of the massage. I was also aware that his right upper arm knots were softer and stringy, rather than one solid mass. …Client came in with a stress level of 6 (current stress state) out of 10 (maximum stress state). She felt the energy of the tuning forks crossing over her crown chakra, and also felt the energy move internally from ear to ear. She said she could feel movement in her body during most of the session as twitching and little ‘pops’. I did a massage after the MLT session. Her stress and tension level went down to 2 out of 10 at the end of the session. She was very relaxed after the session. …I noticed that the surface layer of her neck and back muscles were no longer armored. …I did the MLT session, followed by massage. I found that the client was not as tight as she normally is, and that the muscles finished relaxing quickly. Her back and neck muscles were a lot softer, and it was easier to finish releasing the tension. She was complaining of a knot in her right shoulder before getting on the table, and after the MLT session I had a hard time finding it, because the knot was smaller than normal. The knot in her shoulder had a different texture to it than the knot that I was used to working on in past massage sessions. It felt more like a lipoma (fatty tumor), whereas the past knot felt more like a muscle tension knot. At the end of the session, as I was checking the flexibility of the shoulders, her neck vertebrae self- adjusted. She noticed that when I moved the MLT away from her, to do the ½ hour massage, she suddenly felt cold. She was very happy and feeling much better than when she arrived. She realized a few days after her MLT session that her hands were not tingling or numb. She wants to do the MLT again. …Client has a very tight right neck and shoulder area and massage had not done a lot to decrease this area’s tension, so I suggested that she try the MLT. This MLT/massage session turned into an additional emotional release session. I started working with the muscle tension/pain in right shoulder. My attention was drawn to the MLT, where I noticed that the heart chakra angelic merkaba was not only spinning, but it also was swaying from side to side. I interpreted this to mean that I needed to do emotional release on her heart chakra. As I cleared the heart chakra, I got that she had a broken heart; which then progressed to a deep burning in her right shoulder. After her session she disclosed that she had experienced deep loss over this lifetime. She also told me that her right shoulder burning is from an episode of shingles in the past. Her neck and shoulder areas are now not as tense, and the burning she is experiencing in her right shoulder is occurring less often and the burning sensation is faint. Spirit really directed this session. This is the most profound session I have had to date. I’m very excited for the healing work that lies ahead for my clients. …Client said that she was amazed that there was no pain/discomfort in her pelvic area. She had a hysterectomy and a bladder sling surgery about 2 years ago, and had been very uncomfortable since. During the session she felt energy movement down her right hip and leg, coming in soft waves. She scheduled another appointment. …Clients main complaint was his left shoulder and arm going numb off and on throughout the day. He really relaxed with the meditation. His arm pain and numbness were gone at the end of the MLT session and he had increased range of motion. …The client came in complaining of low back pain. He was very excited to learn about the MLT. He said he could feel the energy of it as soon as he walked into the therapy room. 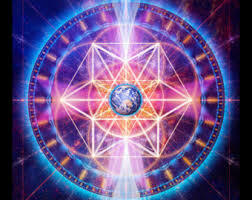 His first reaction at seeing the MLT was to recognize the sacred geometry of it. He felt the energy in his body. He had a severely cut finger from Thanksgiving and he could feel the energy working in his finger. He had no pain or discomfort by the end of the session. He really liked the MLT. …When I do cranial sacral, a head hold that normally takes 45 minutes, became only 7 minutes after my client had a MLT session just before the cranial sacral session. It seems like the MLT is able to ‘prime’ a client’s mind, body and spirit to a point of receptivity, where the subsequent health practitioners therapy can be done to a much higher level of efficiency and effectiveness. This is an amazing breakthrough for the world of Holistic Health Practitioners. Alternative Wellness Practitioners that want to add a powerful energetic device to their business, which ‘compliments’ your existing wellness modality. Be on the ‘cutting edge’ of your profession with the addition of the ‘new’ Merkaba Light Table!